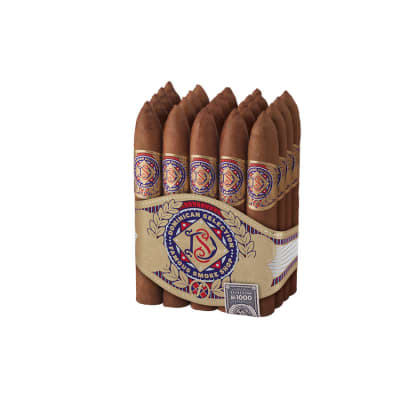 Dominican Selection 1000 Torpedo cigars are handmade with a mild to medium-bodied blend of choice Dominican-grown, Cuban-seed Ligero and Seco tobaccos, Olor binder and an aromatic Sumatra wrapper. The smoke is creamy, toasty, and delicately spicy. Order this tasty, everyday cigar value now. Bought a bundle for the golf course, lit one up yesterday and was I ever suprised. Great cigar and now that I see they are on sale for 26 bucks it blows my mind. Good flavor, not as much as a super premium but its there. Good construction and pack. Stays lit all the way through. A must try for cheapie events like golfing. 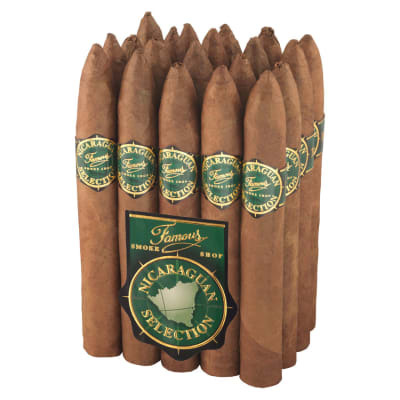 Excellent Bundled Cigar, Excellent Price! The torpedo is my favorite bundled cigar. The secret is to let them age in the humidor for about a month. I pass these out to friends who visit and they are surprised. These are my everyday (afterwork) smoke and save the really excellent premium ones for my weekend reward! Well now it's been over a month since I got these cigars, and I've been plowing through them quite quickly. Delicious! 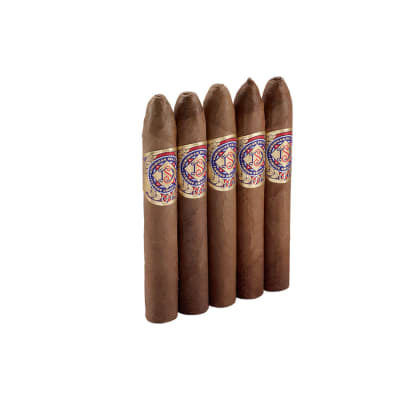 Bargain Hunters will love this cigar! I got four bundles of this cigar off of cigarauctioneer.com. Famous Smoke has almost always given me some good cigar deals, but this is one of the tops! I smoked one out of the bundle and was thoroughly impressed. Mild to medium in strength, good tobacco/leathery, perhaps even slightly nutty taste. Two weeks later I had one and was even more impressed. The draw was perfect. So far I have tried two out of each bundle and I like them. Highly recommended!